These apps run on a custom built blockchain, an enormously powerful shared global infrastructure that can move value around and represent the ownership of property. This enables developers to create markets, store registries of debts or promises, move funds in accordance with instructions given long in the past (like a will or a futures contract) and many other things that have not been invented yet, all without a middle man or counterparty risk. 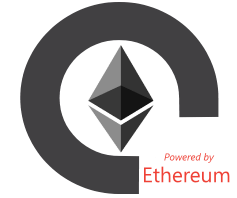 Ethereum powered by Code Creator is a blockchain using Geth running on a Ubuntu server. Geth is the CLI Ethereum client that runs on Windows, Mac, and Linux platforms. Geth is widely used to interact with Ethereum networks. To create a private blockchain you need to define the genesis block; the first block of a block chain. Genesis blocks are usually embedded in the client but with Ethereum we configured a genesis block using a json object and the home directory in Ethererum Server folder. To start the Ethereum node, we have disabled "ipc" and enabled "rpc" by specifying the port. The Ethereum blockchain should start on port 8545. The RPC address should be the Public DNS address of the instance (we have used the localhost to run it).